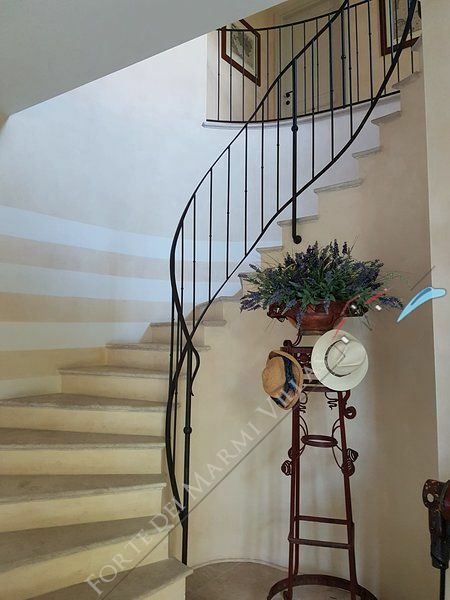 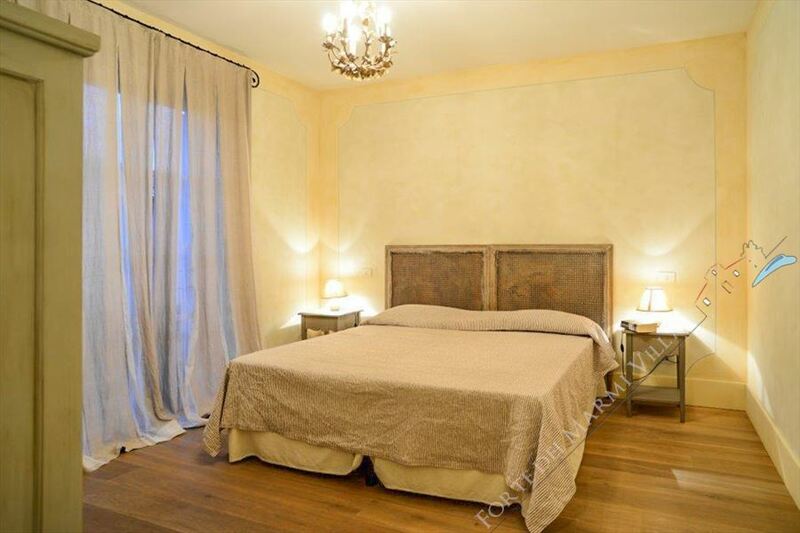 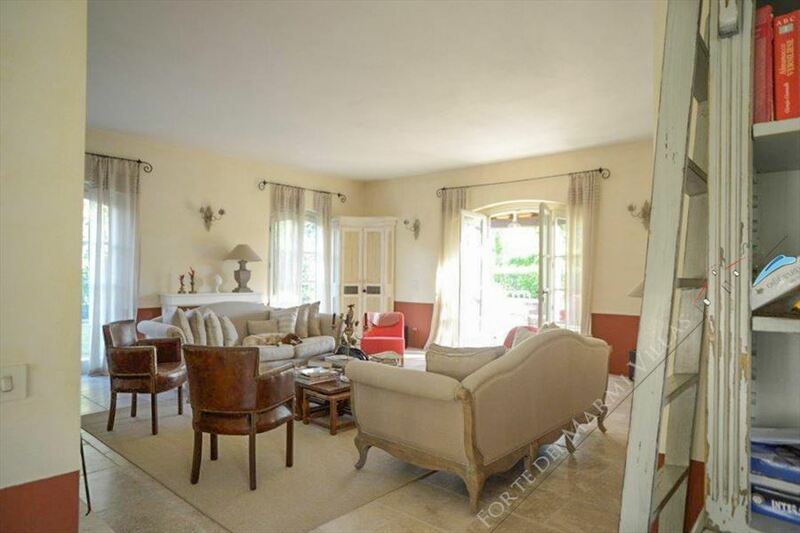 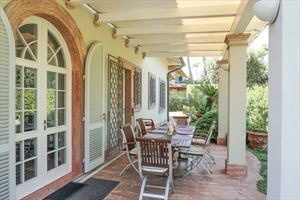 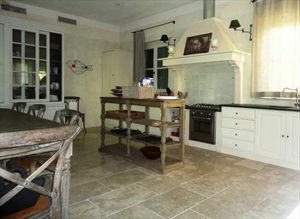 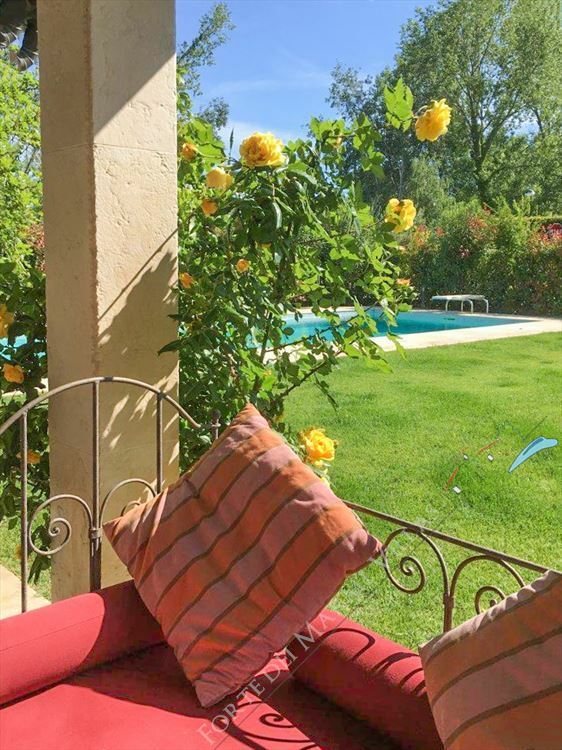 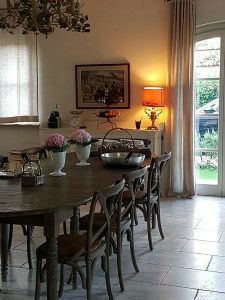 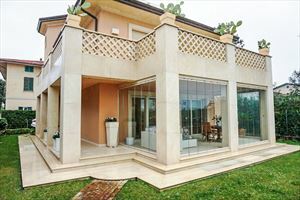 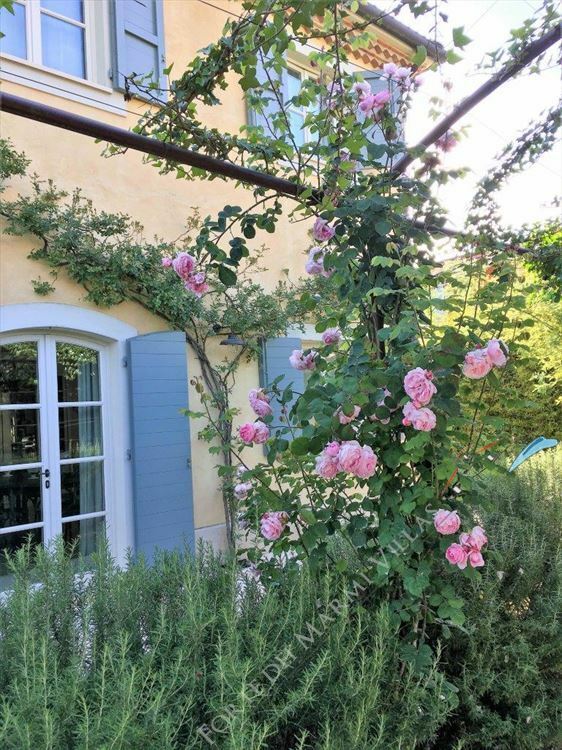 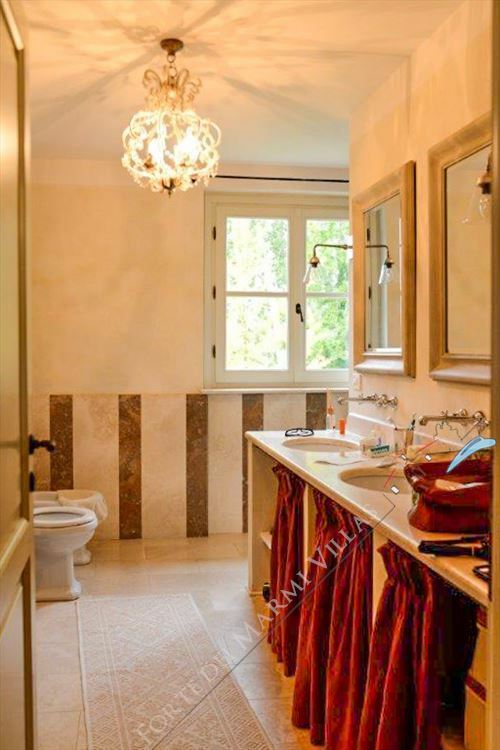 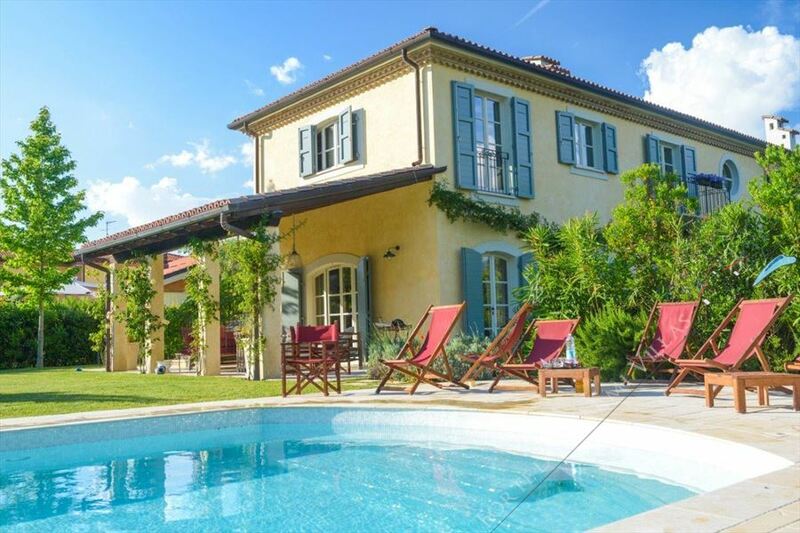 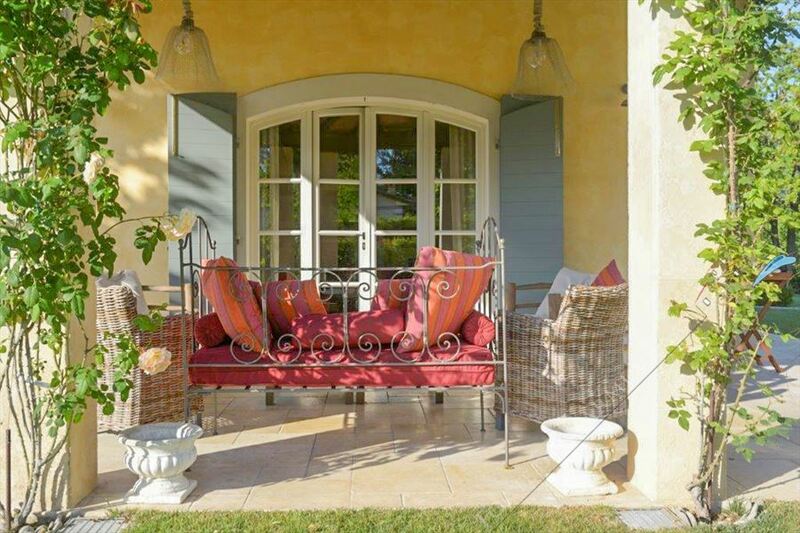 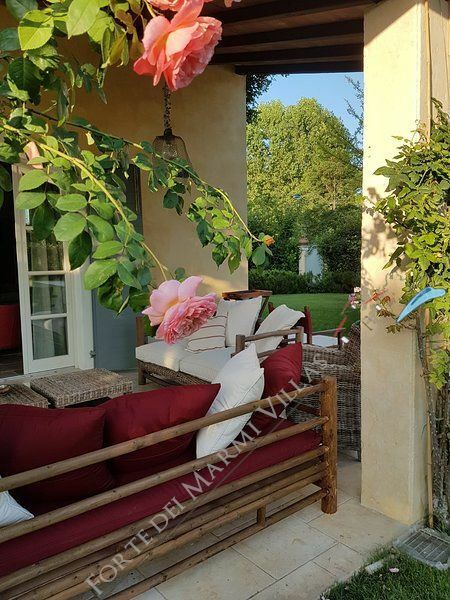 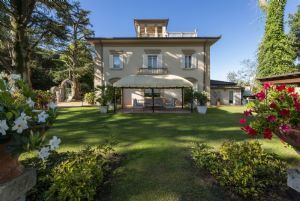 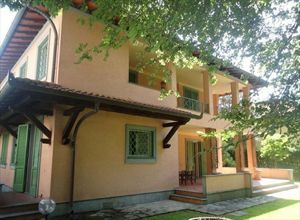 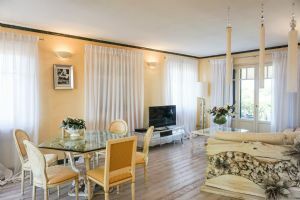 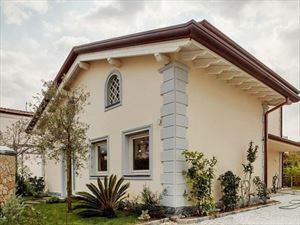 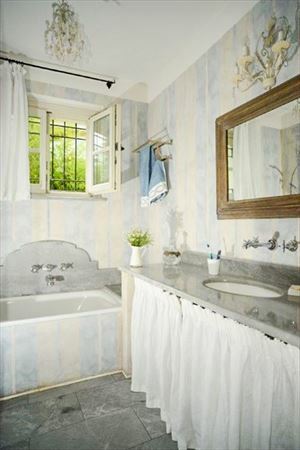 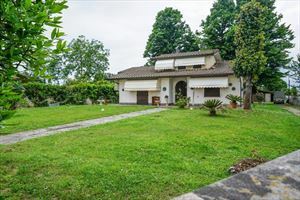 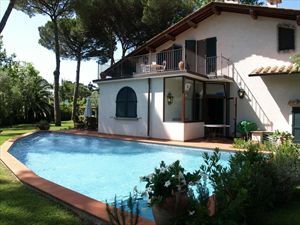 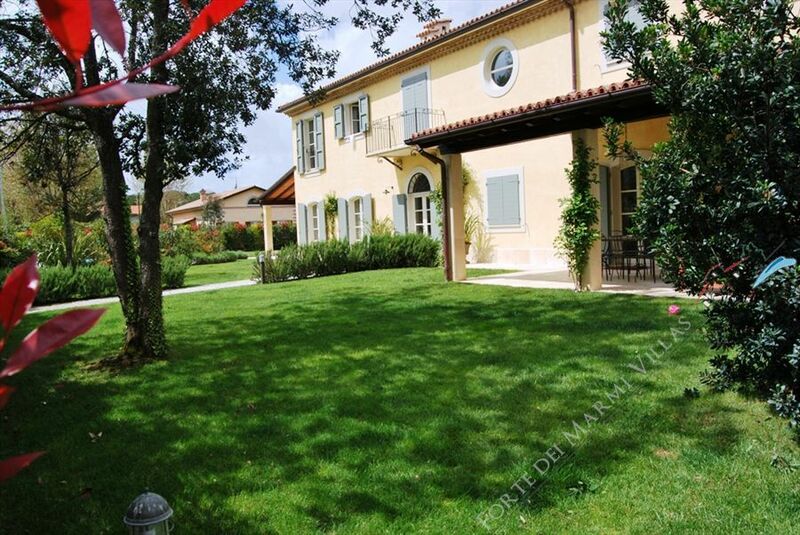 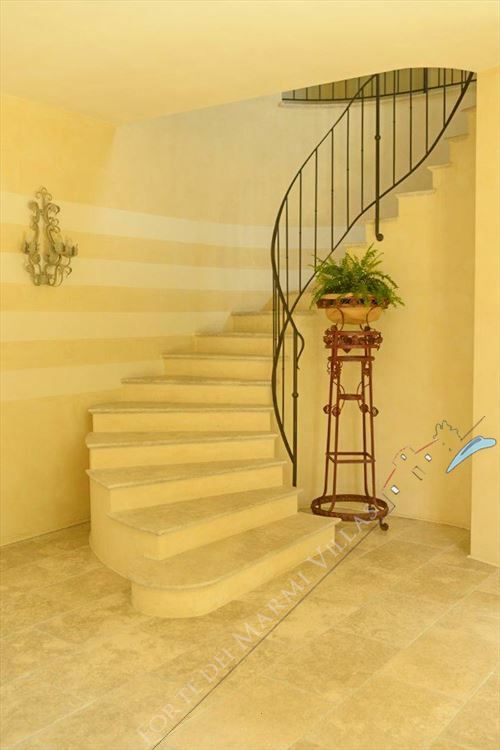 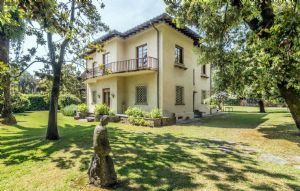 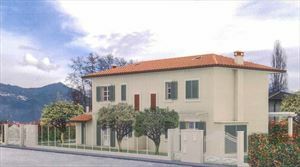 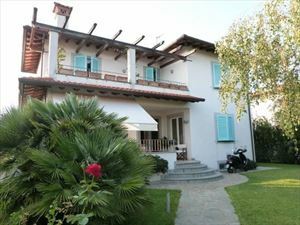 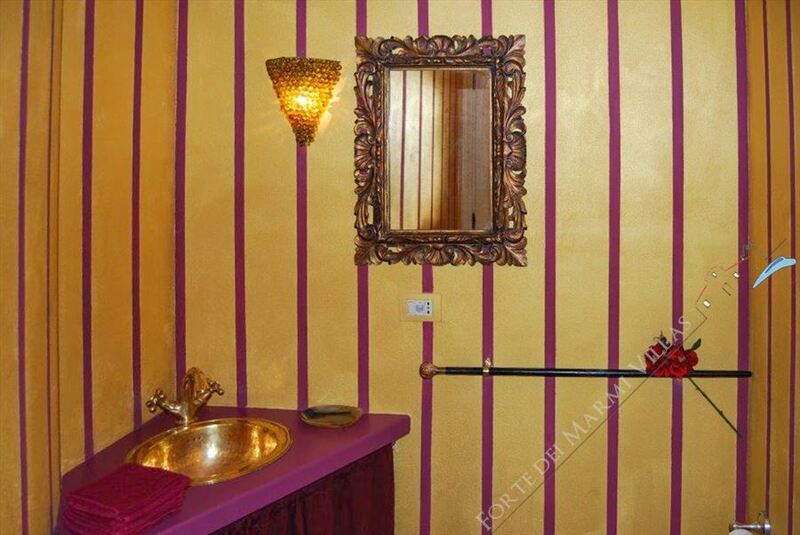 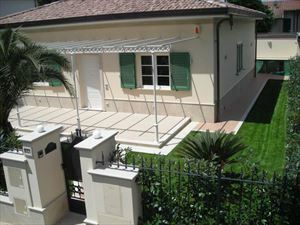 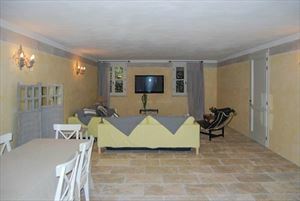 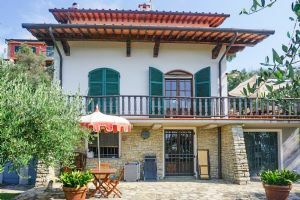 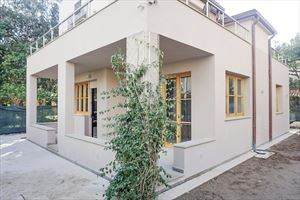 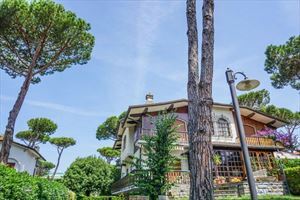 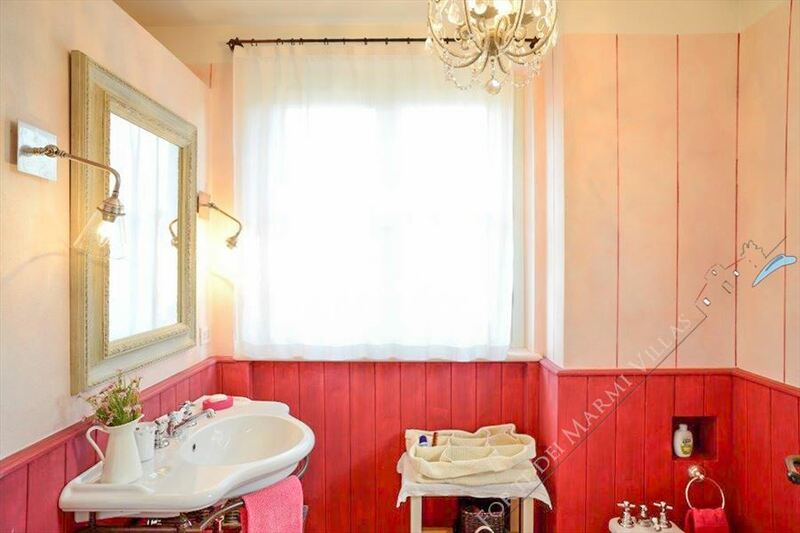 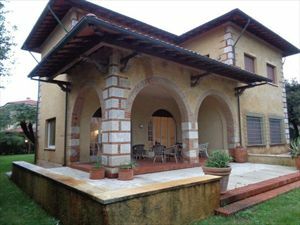 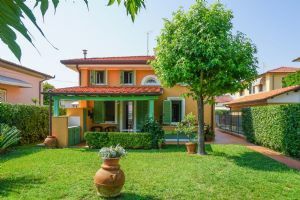 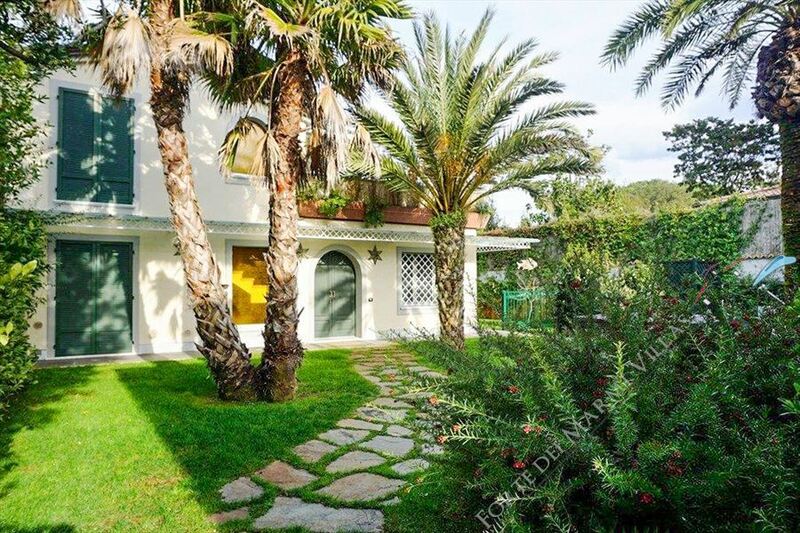 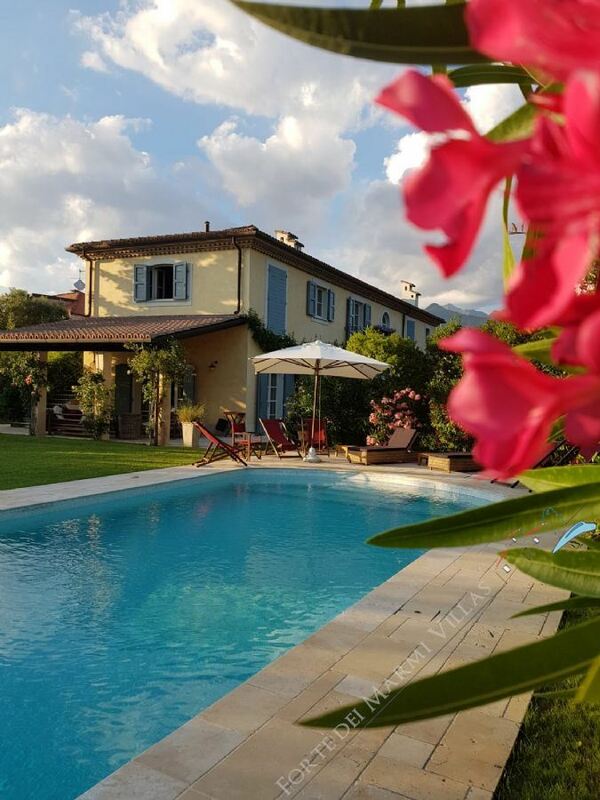 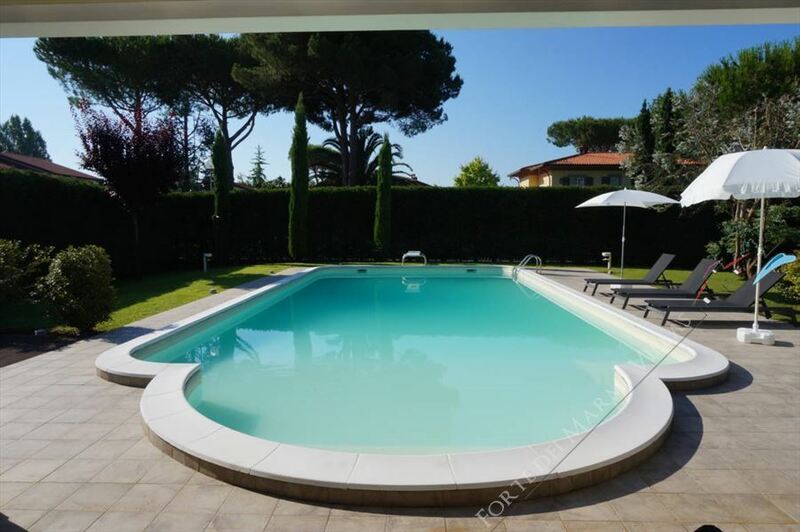 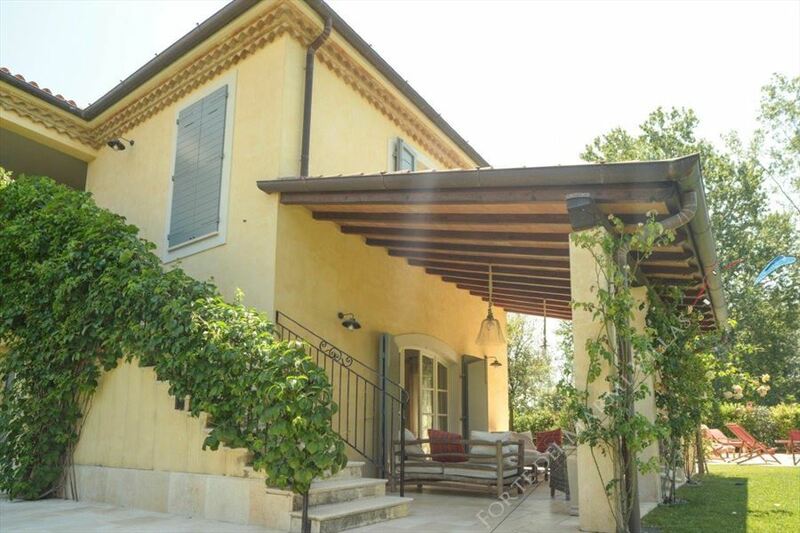 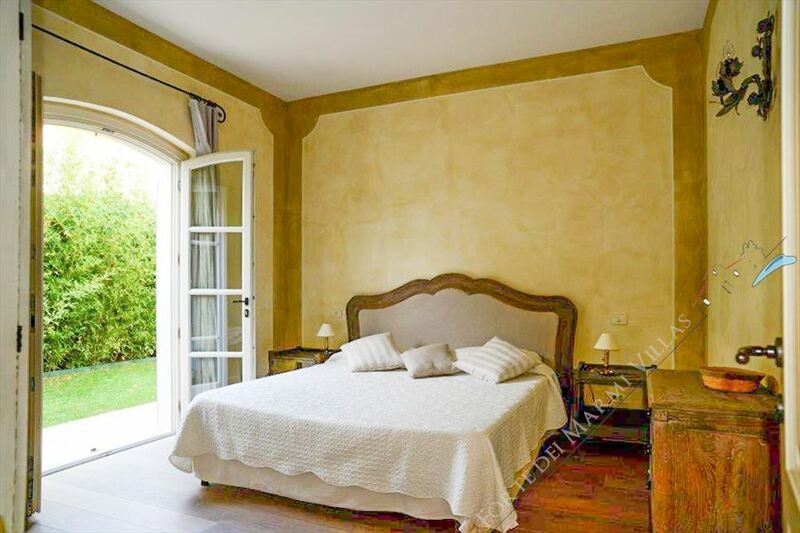 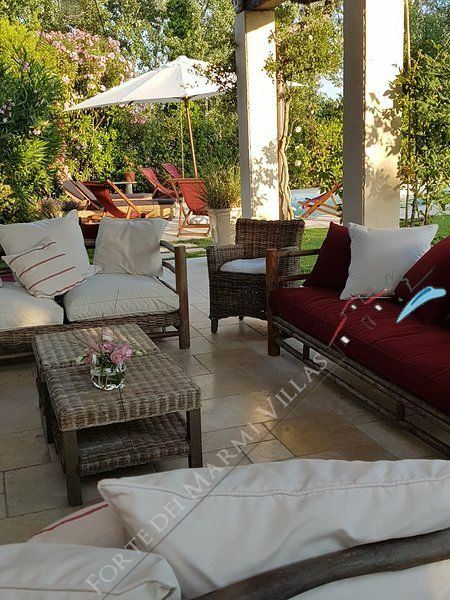 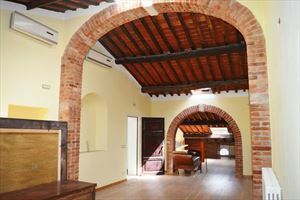 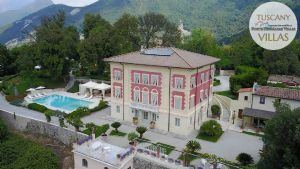 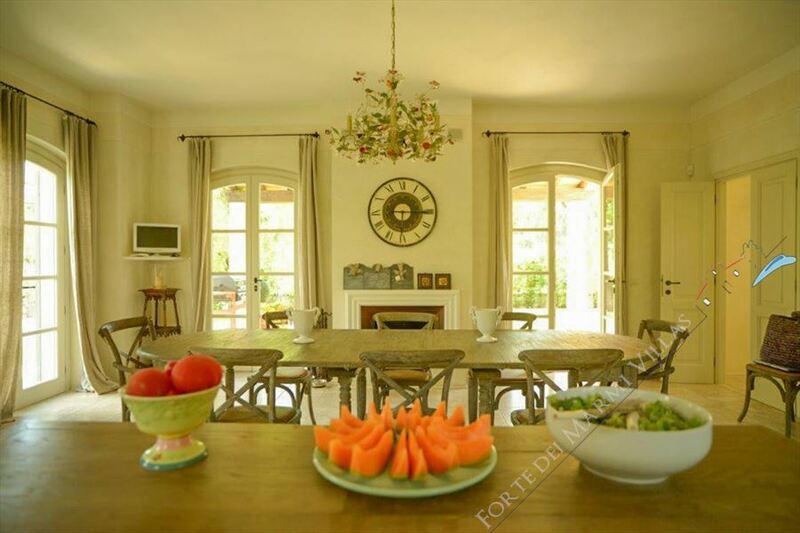 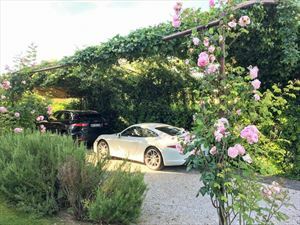 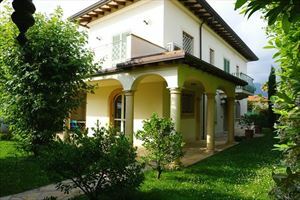 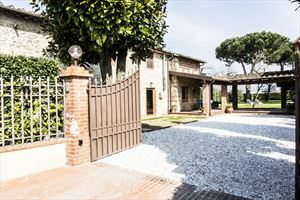 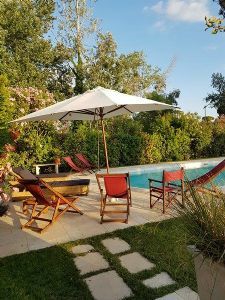 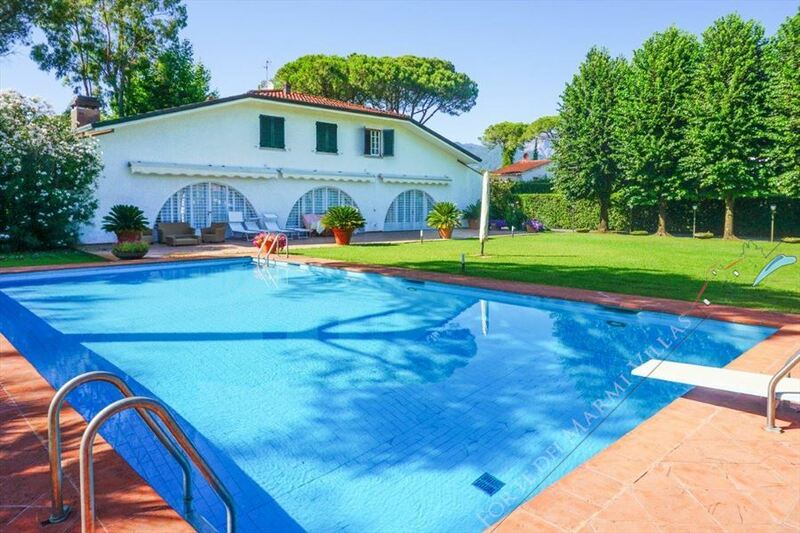 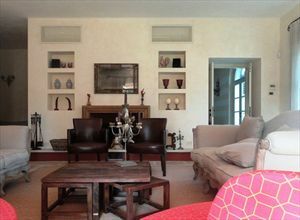 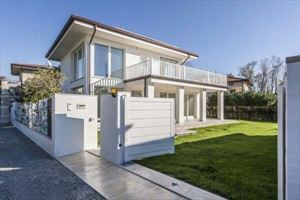 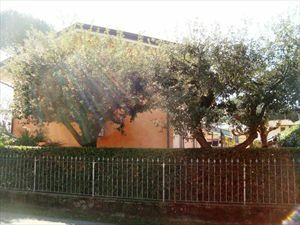 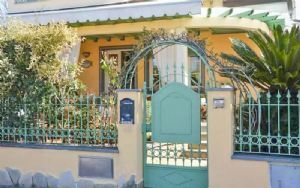 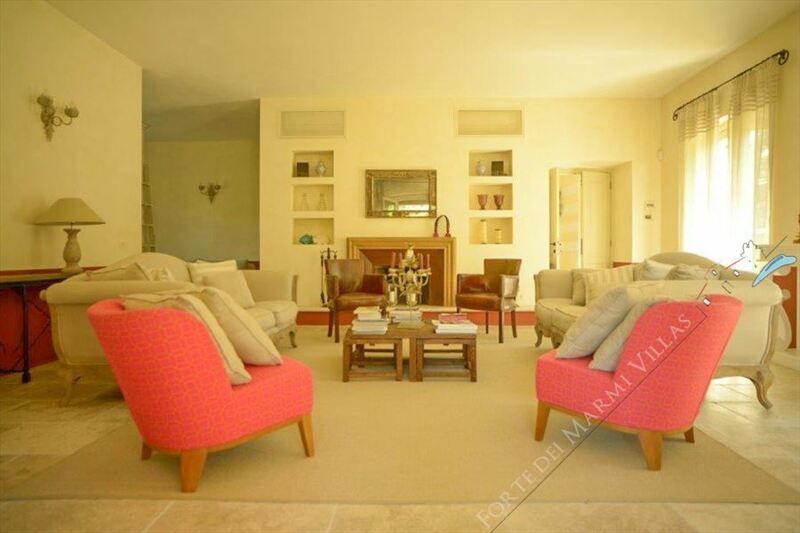 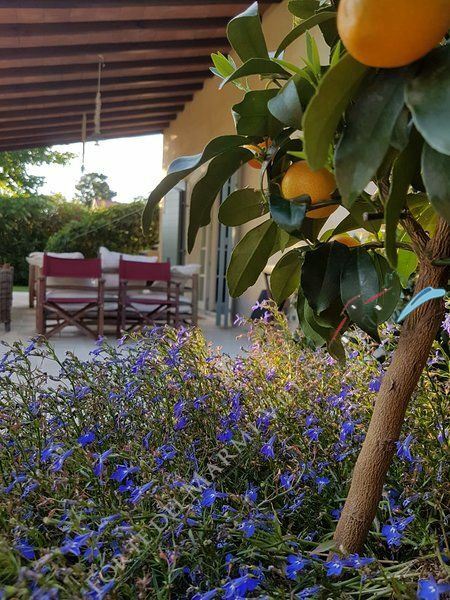 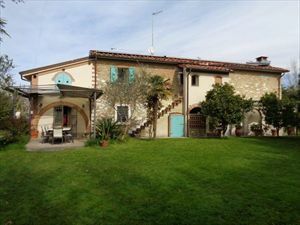 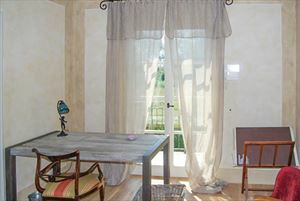 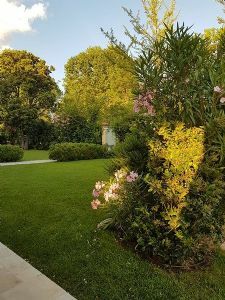 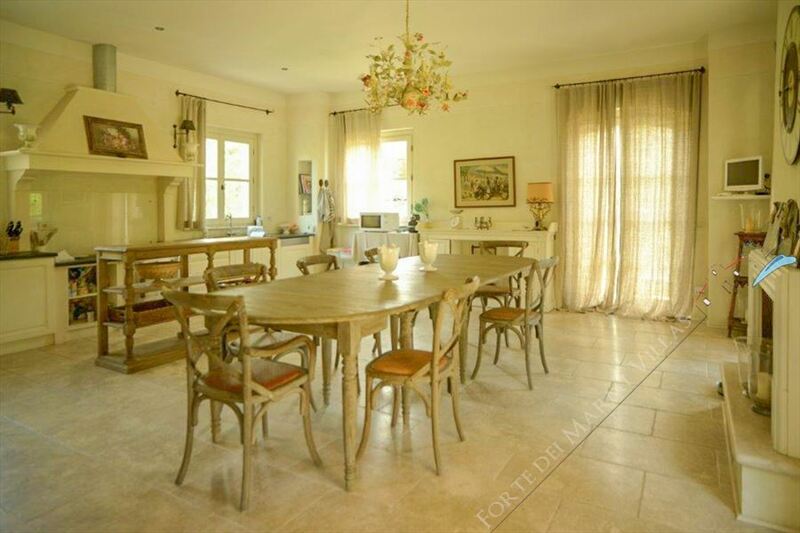 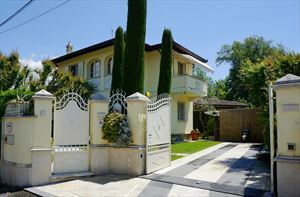 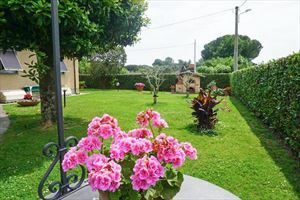 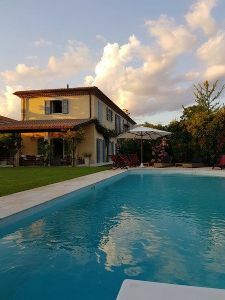 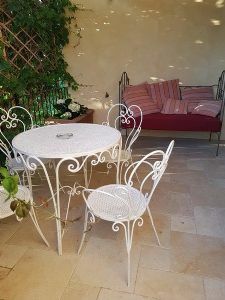 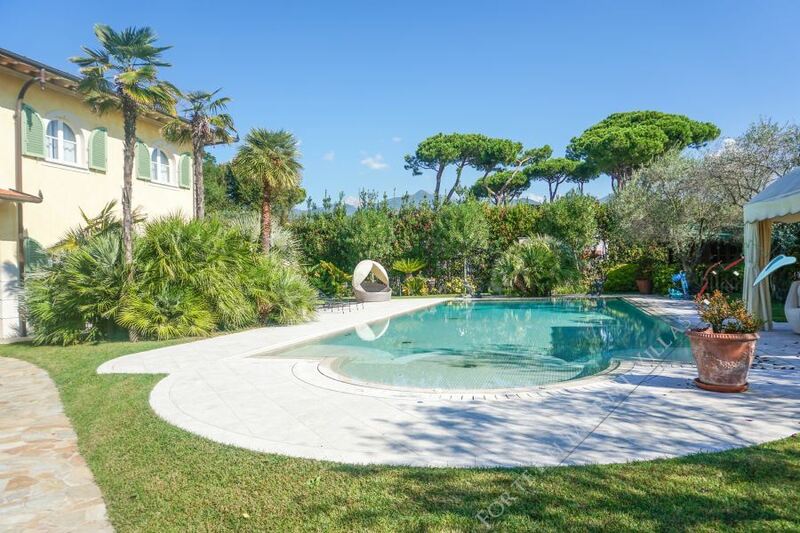 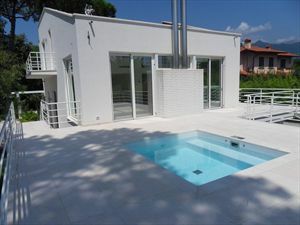 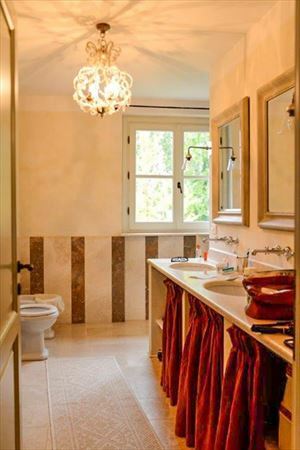 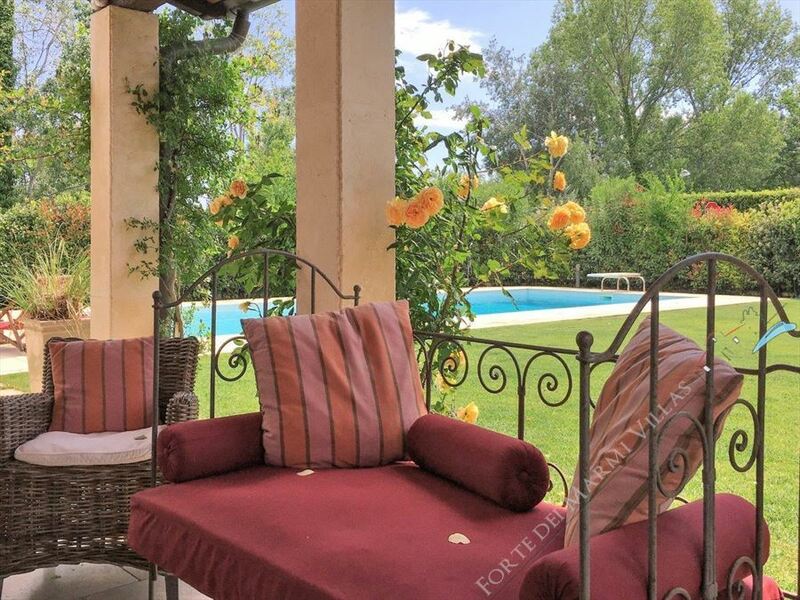 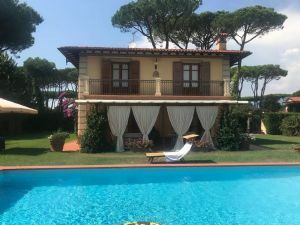 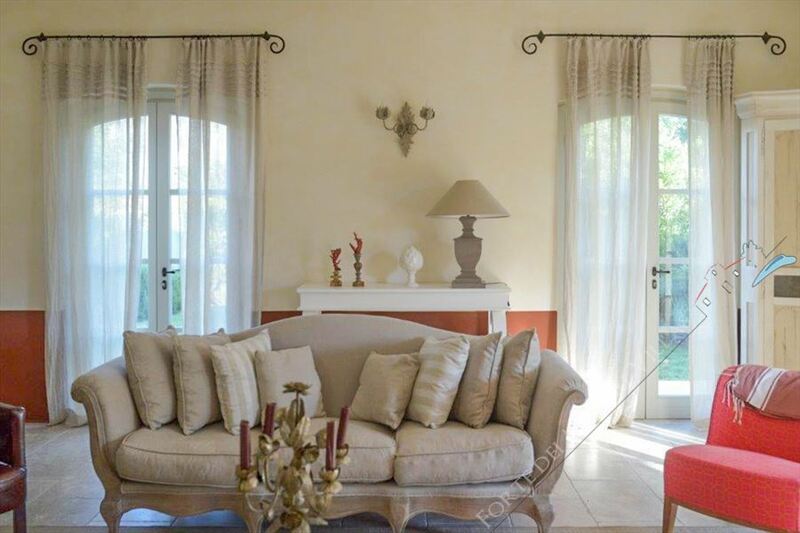 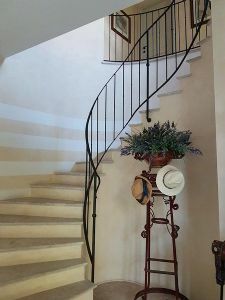 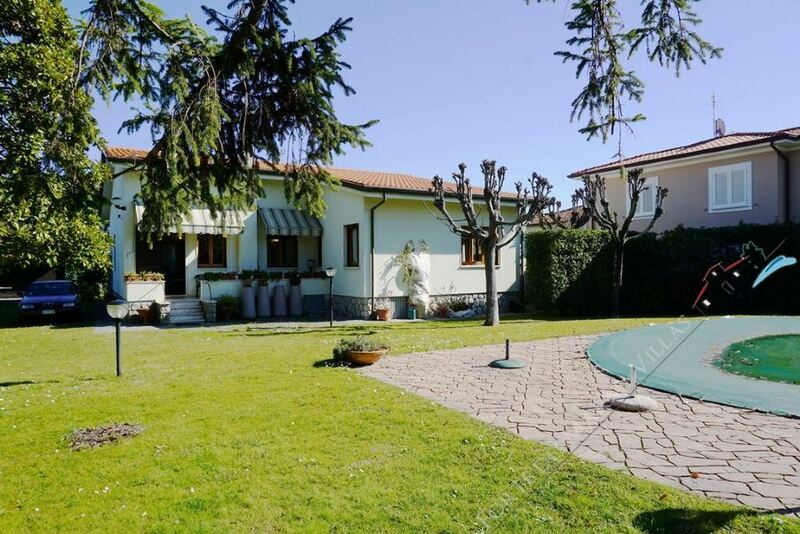 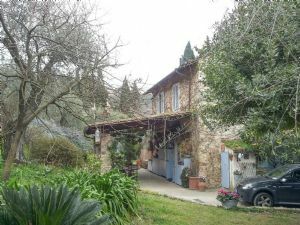 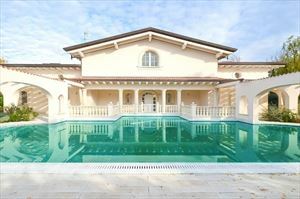 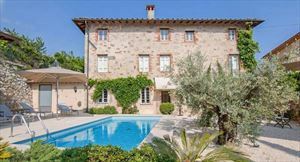 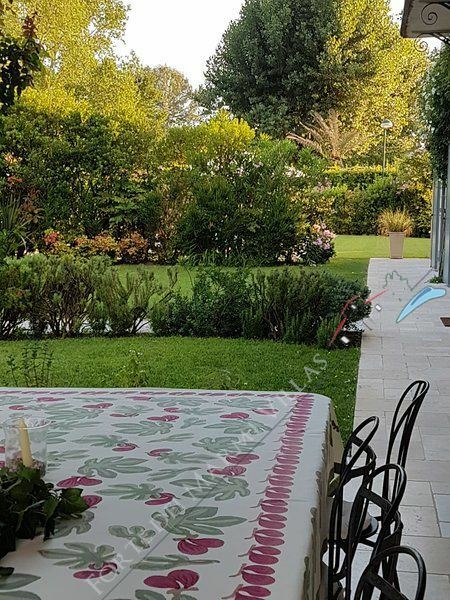 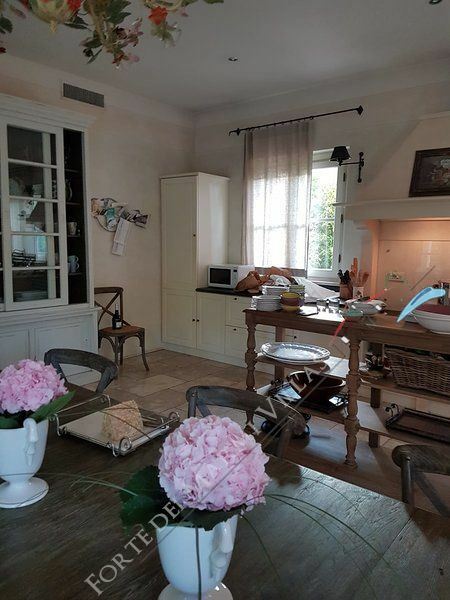 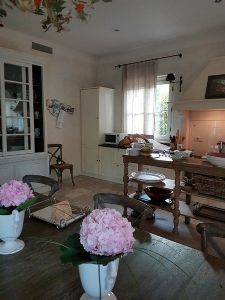 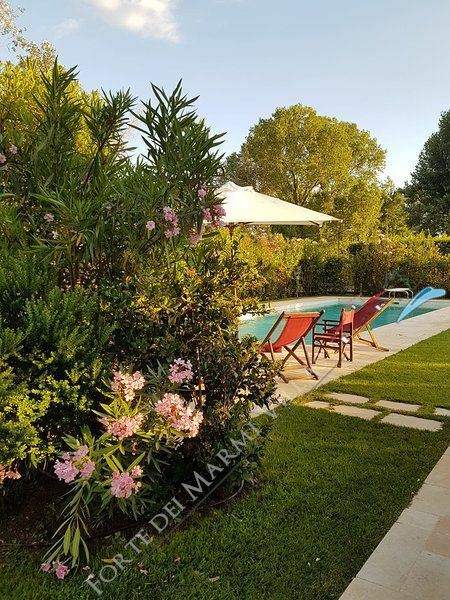 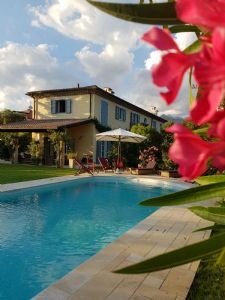 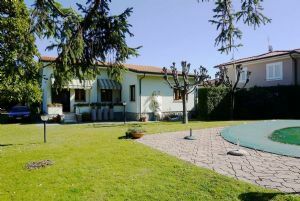 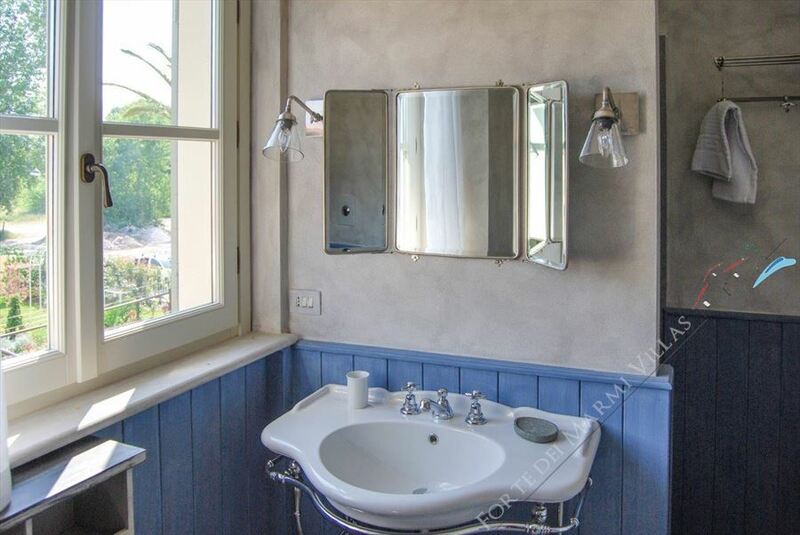 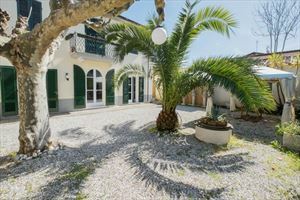 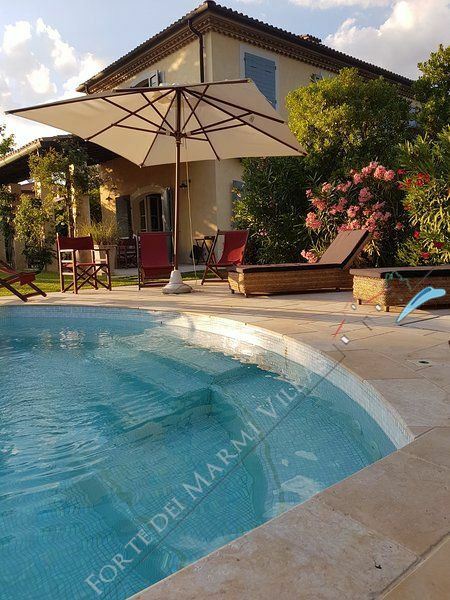 Charming villa for rent with "Ambiance and Decor Romantique" located near the centre of Forte dei Marmi, about 700 mt from the seaside. 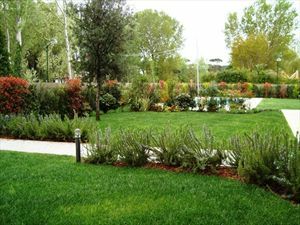 The area is very peaceful thanks to its location and its gorgeous garden. 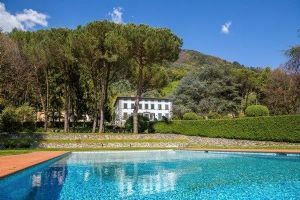 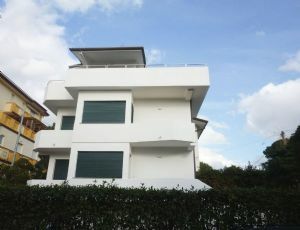 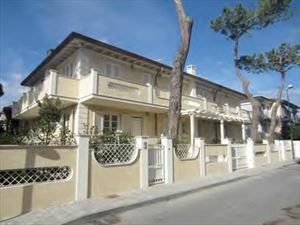 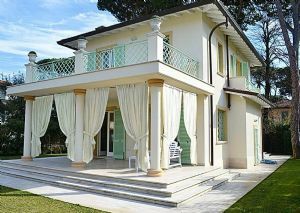 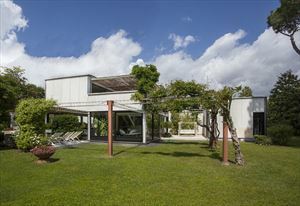 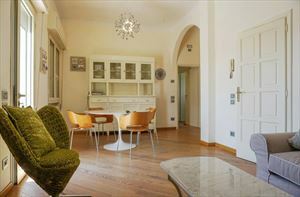 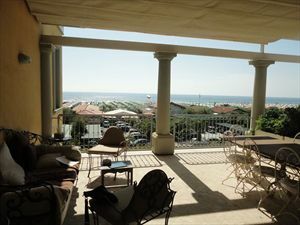 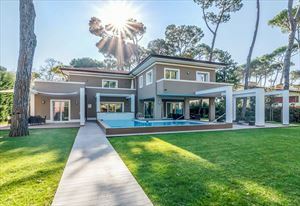 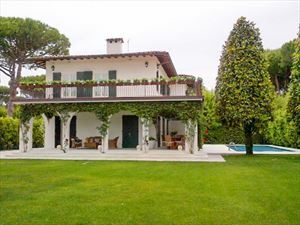 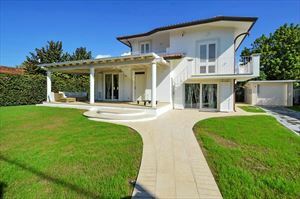 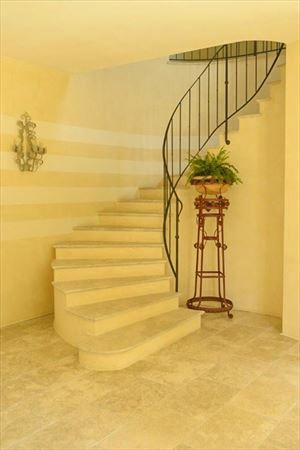 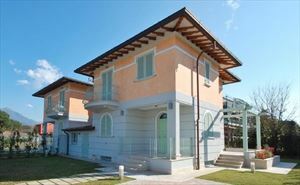 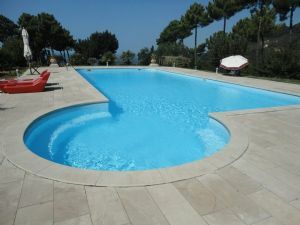 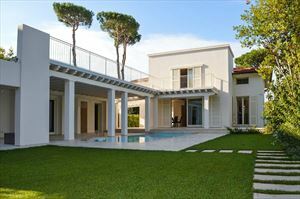 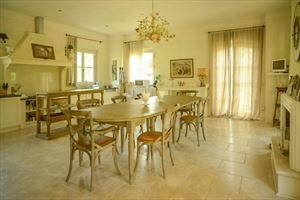 Villa Principe is located in one of the most popular seaside resorts on the Tyrrhenian sea, Forte dei Marmi. 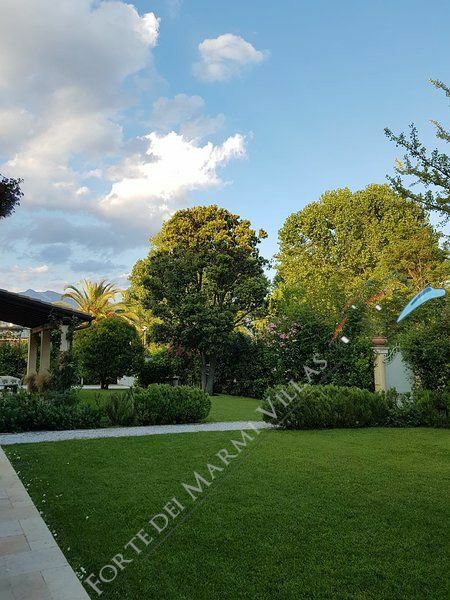 This area is rather fashionable and full of actors, professional athletes, diplomats, businessmen and other VIPs which are spending their holidays at Forte dei marmi too. 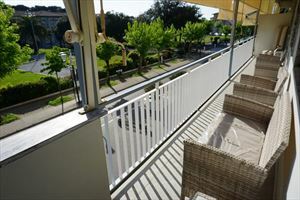 The regional food is characterized by fresh seafood, plenty of olive oil and some fine local wines. 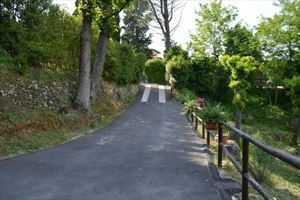 It's easy to reach the suggestive "Cinque Terre" even with a day trip as well. 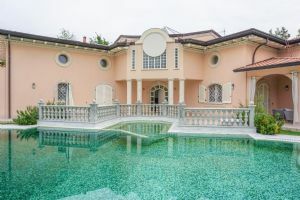 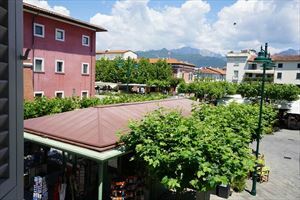 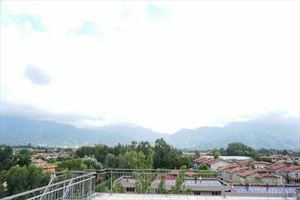 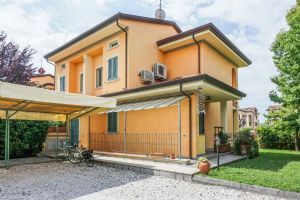 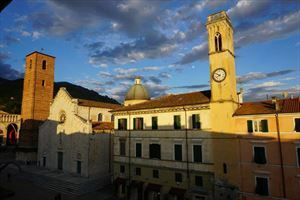 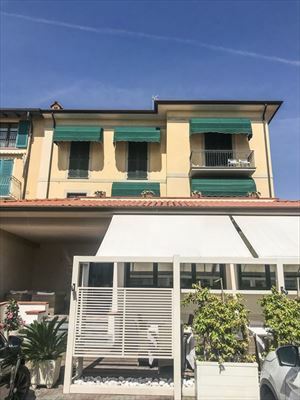 There are many things to do also in the city centre, the architecture of Forte dei Marmi is amazing and there is a statue from the 16th century made of marble from the Apuan Alps and fortress built by King Leopold I located in the center of Piazza Garibaldi. 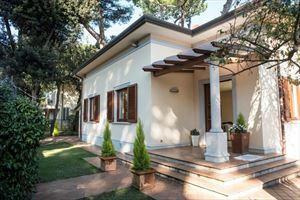 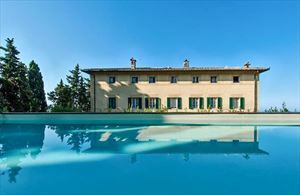 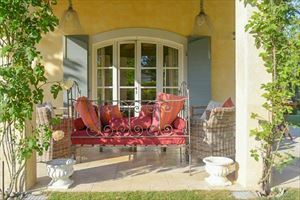 The two stories Villa Principe is set surrounded by lush gardens and lawns. 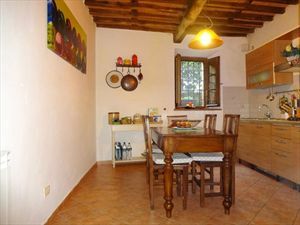 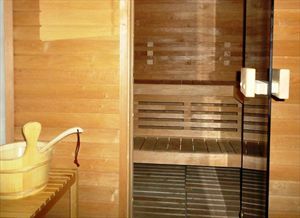 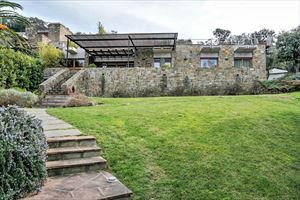 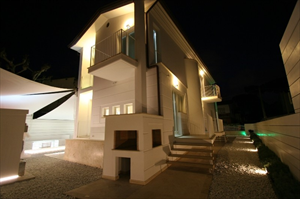 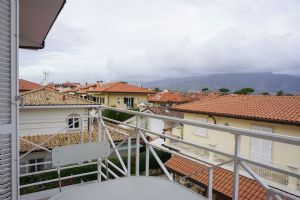 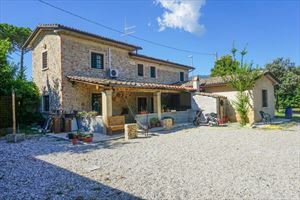 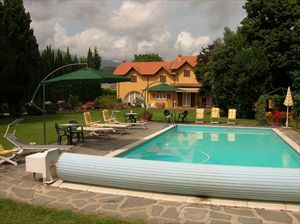 It is the ideal location for both the quiet of isolation with the excitement of town nearby. 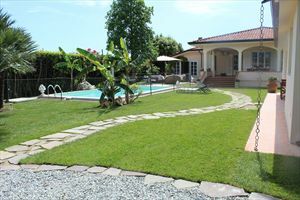 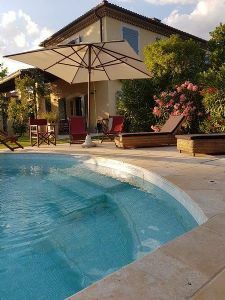 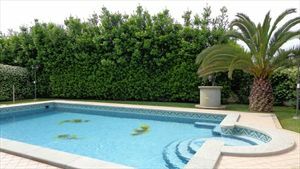 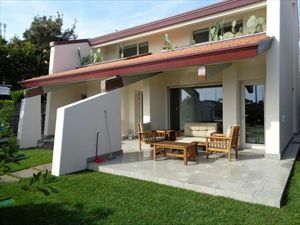 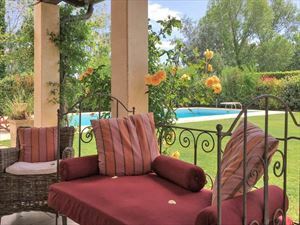 A swimming pool and tastefully furnished patio allow for total relaxation as you are surrounded on all sides by nature. 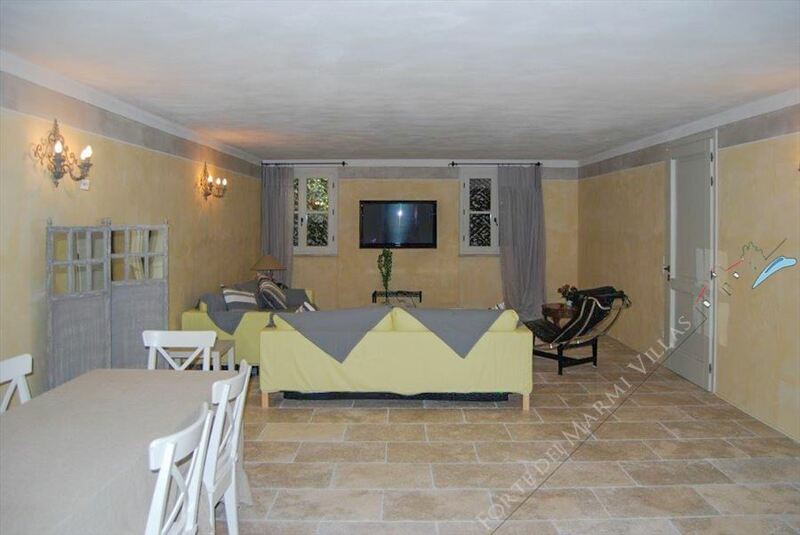 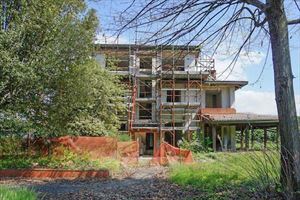 Ground floor includes a spacious entrance hall, which moves easily into a large dining area. Here you will find an oval shaped dining table for twelve. 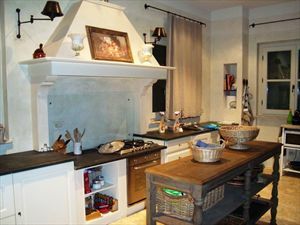 In close proximity is the kitchen which is fully equipped with all modern appliances including a wood fired oven for those special recipes. 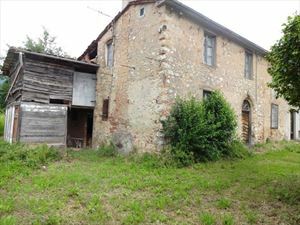 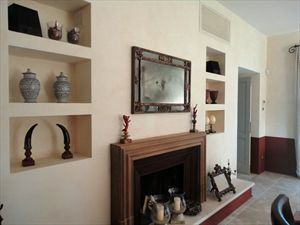 To the left of the kitchen is the living room with a large fireplace and comfortable couches in rustic earth colors. 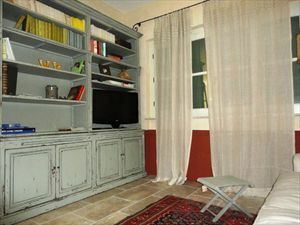 The living area also consists of a study / library with a television and a small guest room with one full bed and a bathroom. 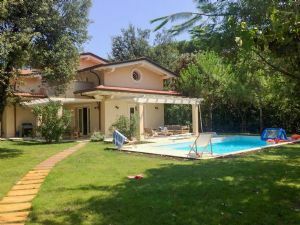 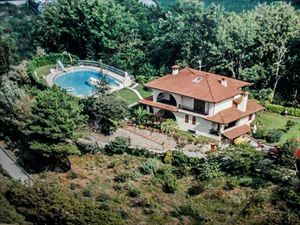 From here the villa’s layout leads to the basement with another living area, cinema, gym, sauna and laundry. 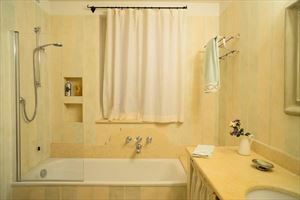 The basement level also includes a double bedroom with shower. 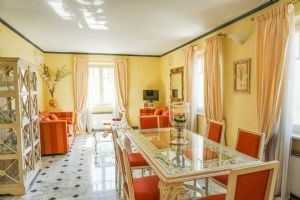 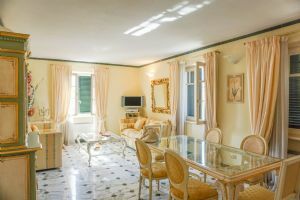 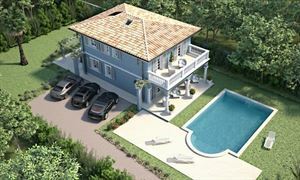 On the first floor of Villa Principe Forte you will find the master bedroom complete with private bathroom, study and dressing room. 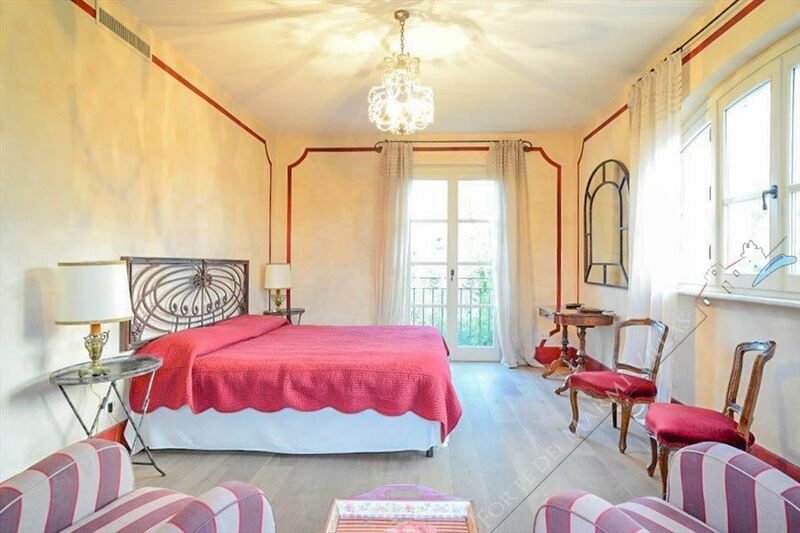 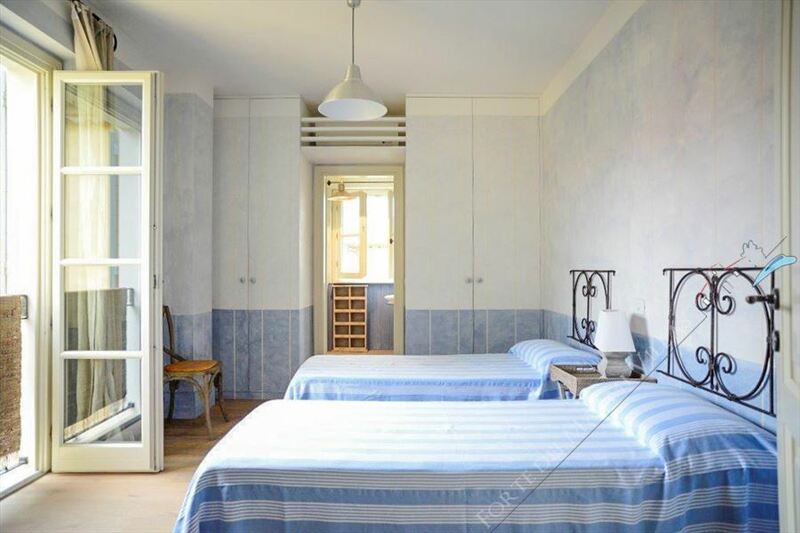 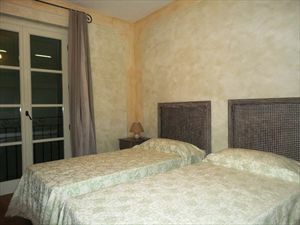 There are also two other lovely double bedrooms with private bathrooms on this floor. 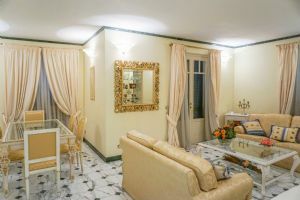 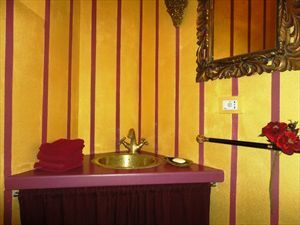 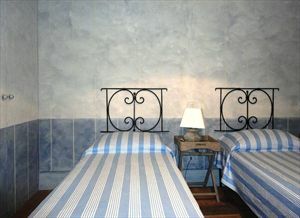 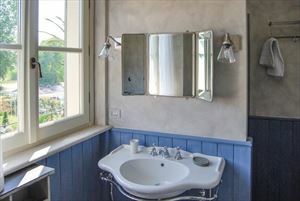 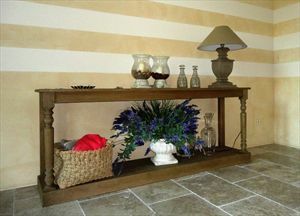 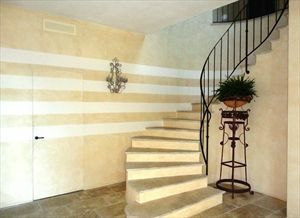 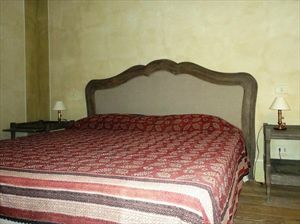 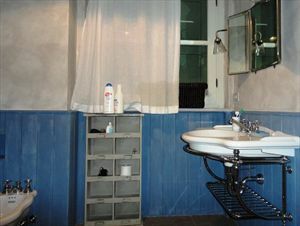 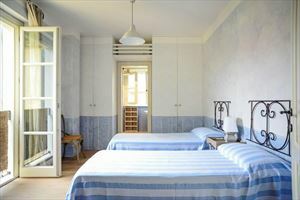 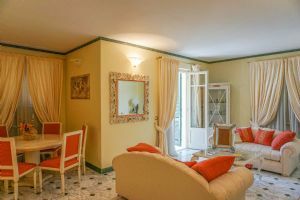 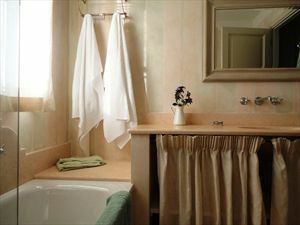 Each room is decorated with the European style of the owner. 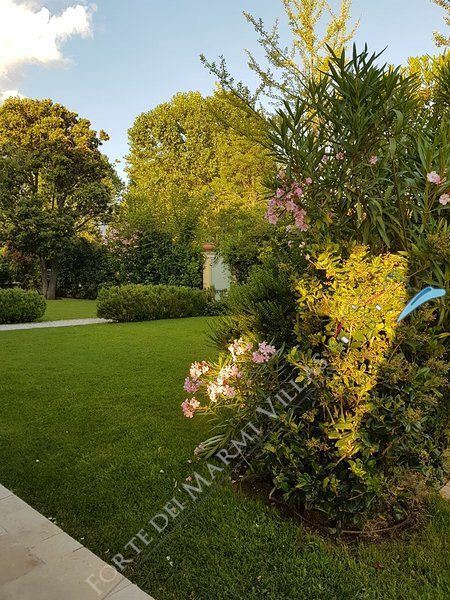 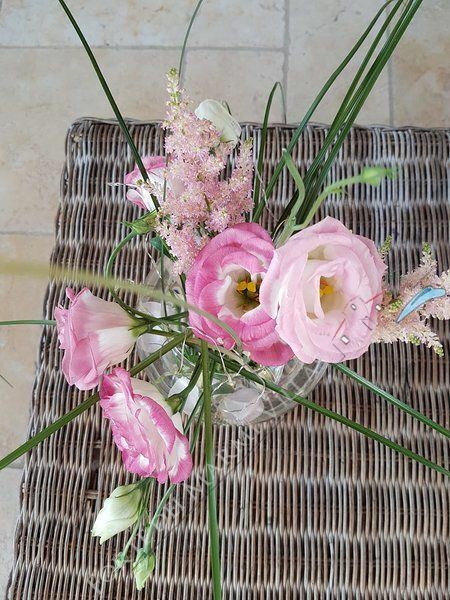 She took a great care in creating a magical and unforgettable atmosphere for her guests at Villa Principe. 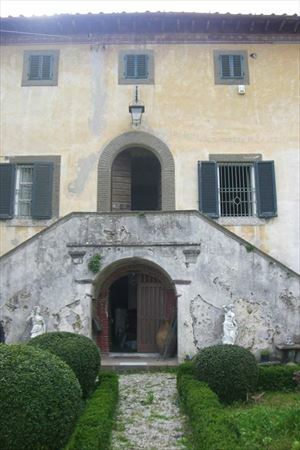 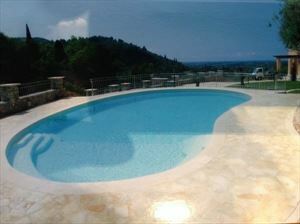 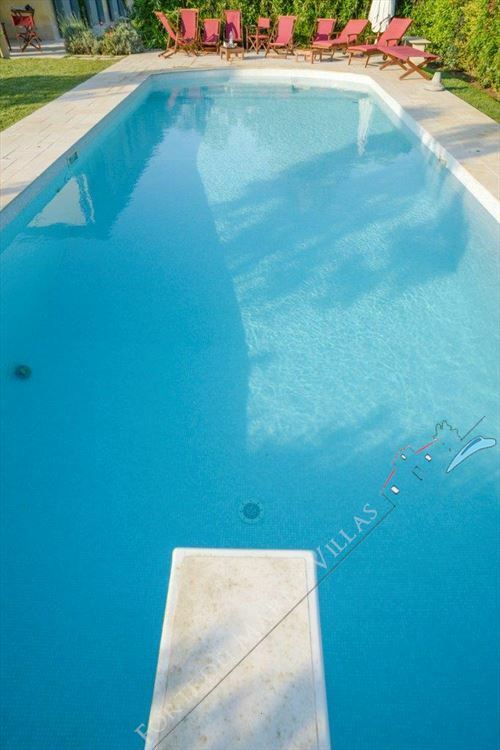 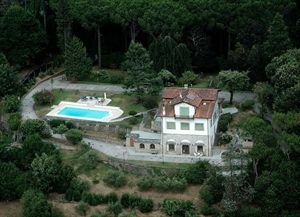 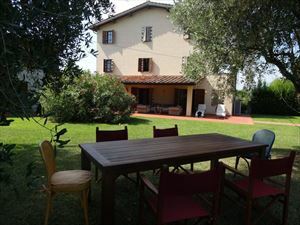 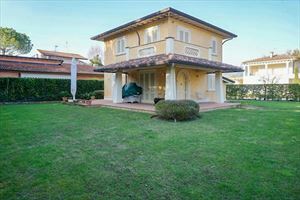 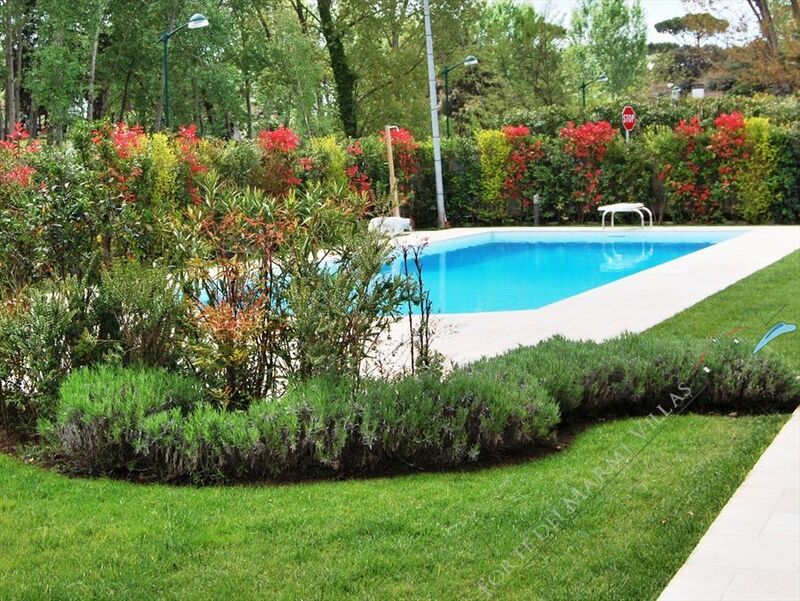 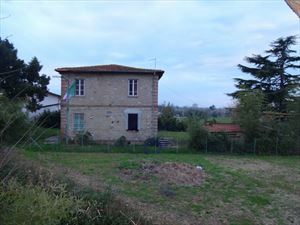 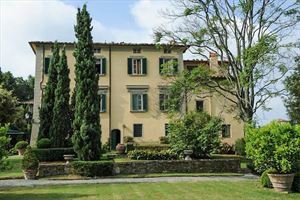 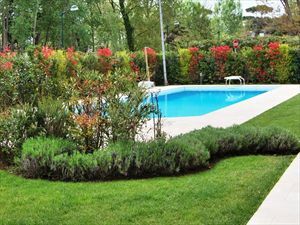 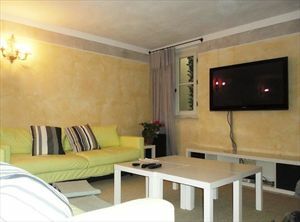 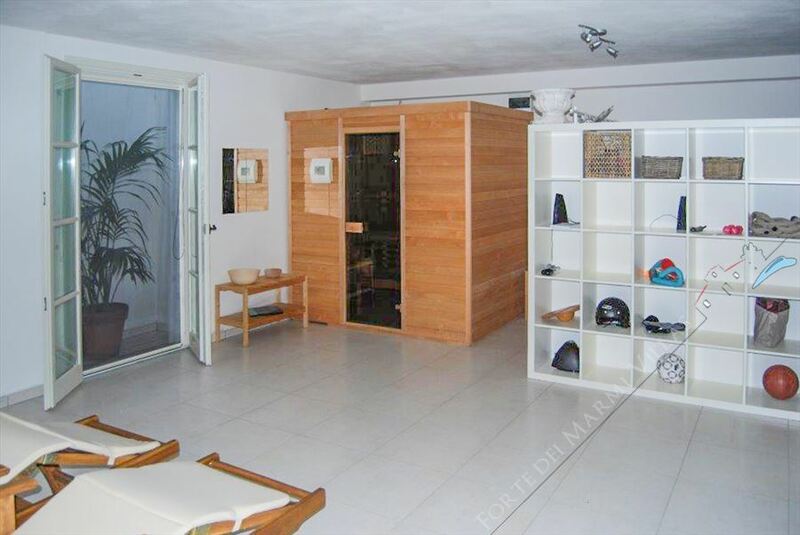 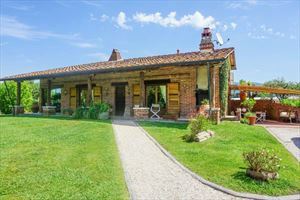 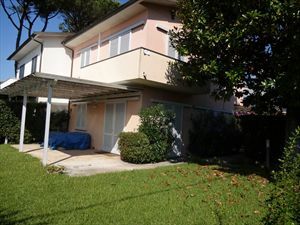 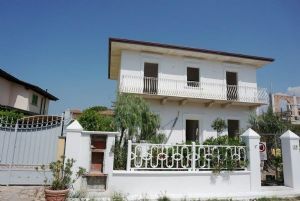 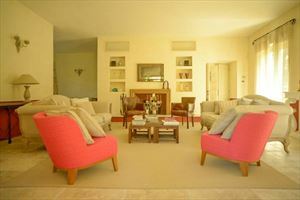 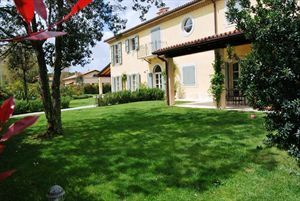 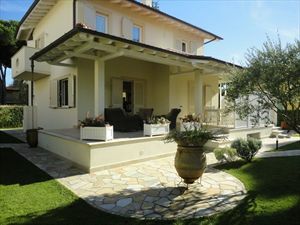 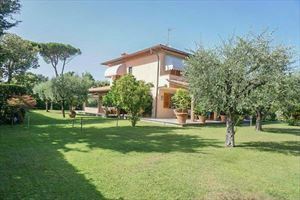 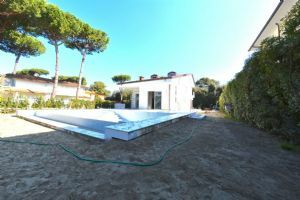 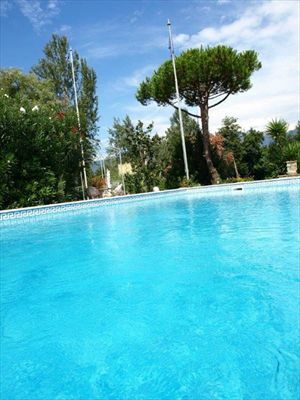 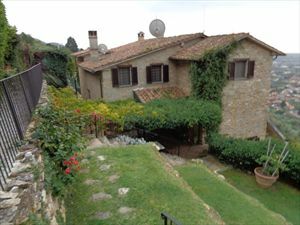 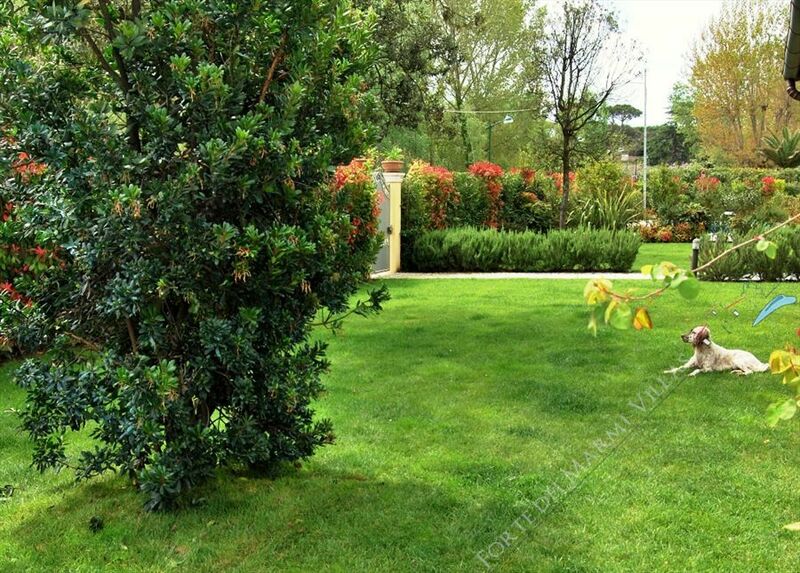 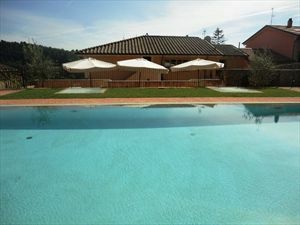 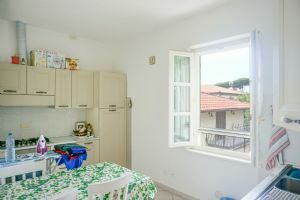 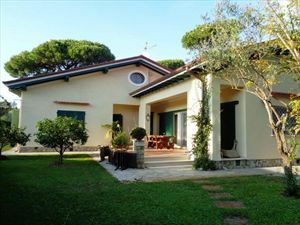 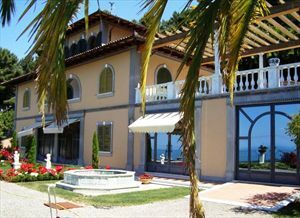 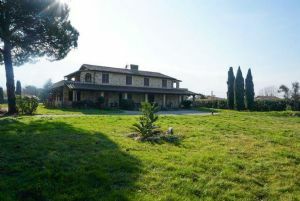 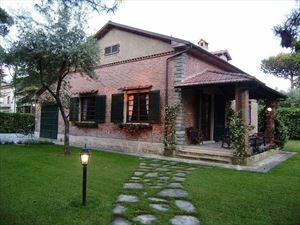 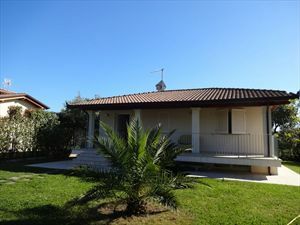 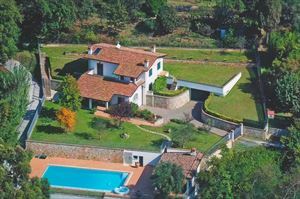 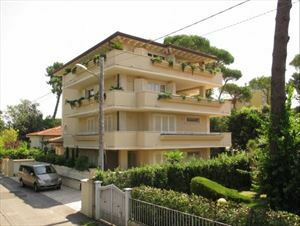 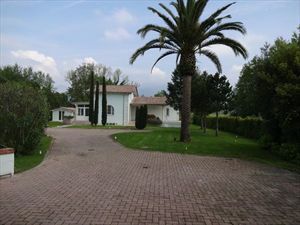 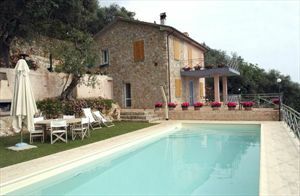 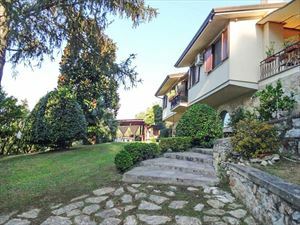 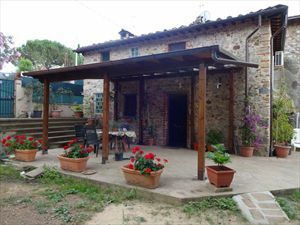 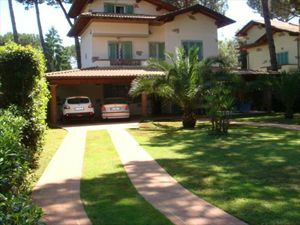 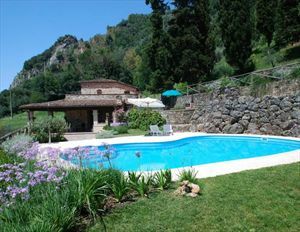 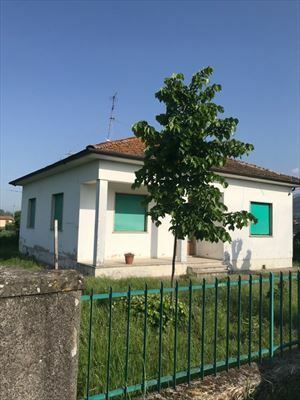 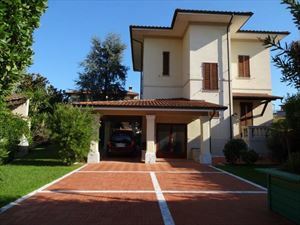 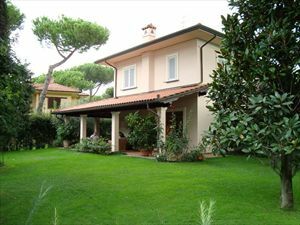 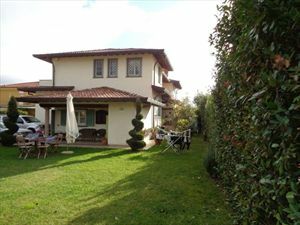 Golf Course 2 Km from villa, beach 700 Meters from villa, Pisa Airport 30 Km from villa.